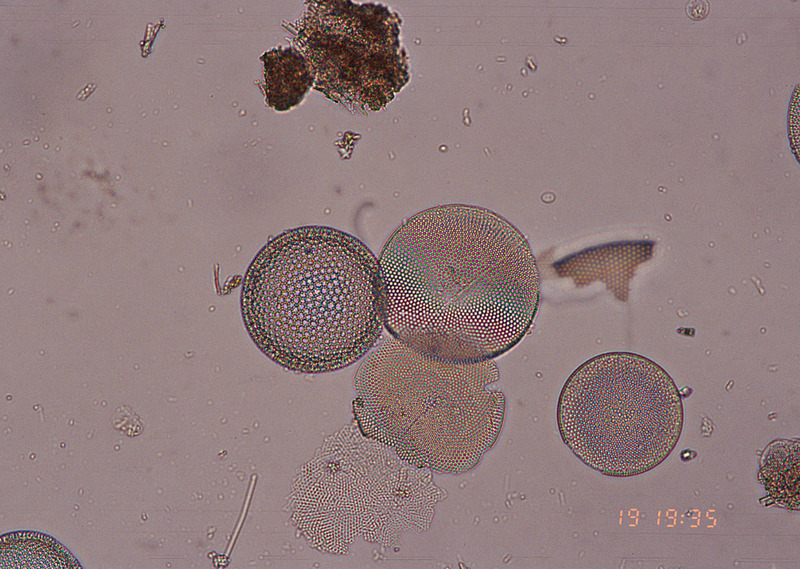 On this page, a few pictures of diatoms from California filtered and suspended in water. 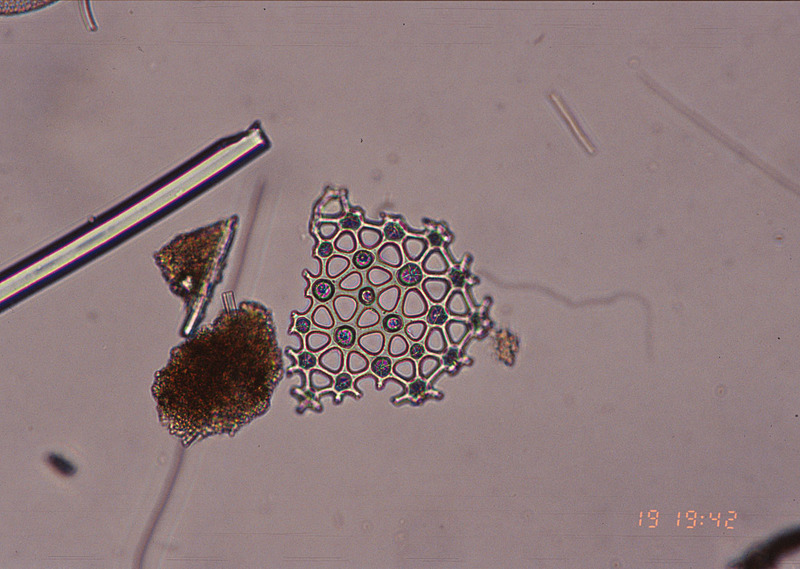 Diatoms in water, other view. Magnification 200X. 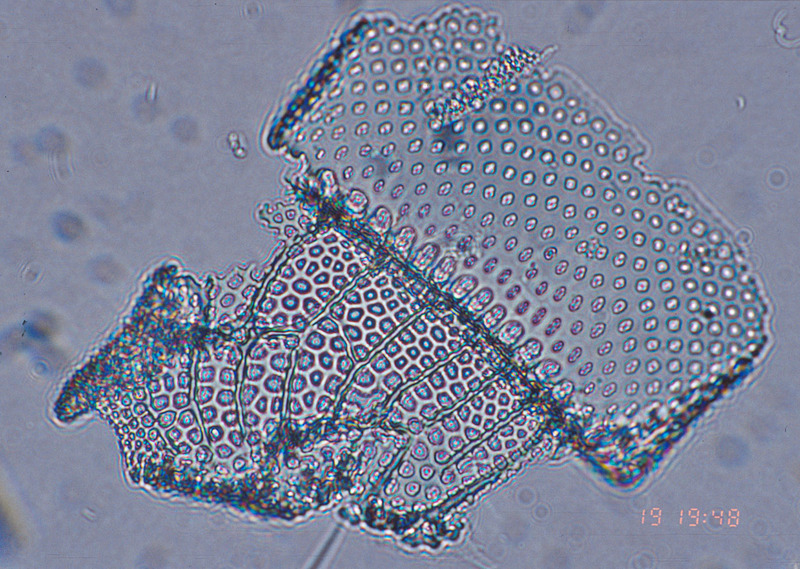 Diatoms in water, detail . Magnification 200X. 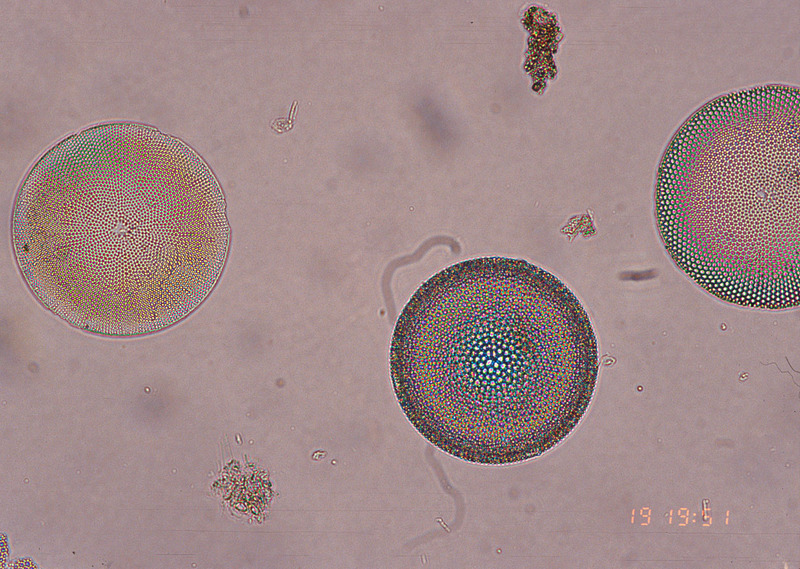 Diatoms in water, detail. Magnification 500X. 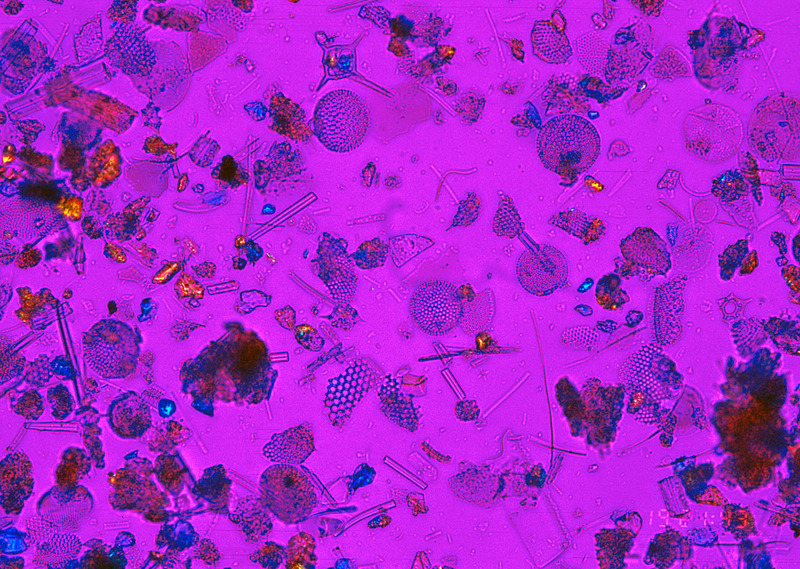 Diatoms, small particles viewed with a wave plate inserted to show the presence of crystalline foreign material (yellow or blue).